For this route it is best to pick up your rental bike from the BP Opera House location. It’s really central and you will have no problem finding your way there. The bikes are located outside of the Yellow Zebra Bookstore behind the Opera House, and, if you are a book lover, it may take you a while to actually get on a bike, as this bookstore is one of the few places in Budapest where you can buy used English books. Just so you know. 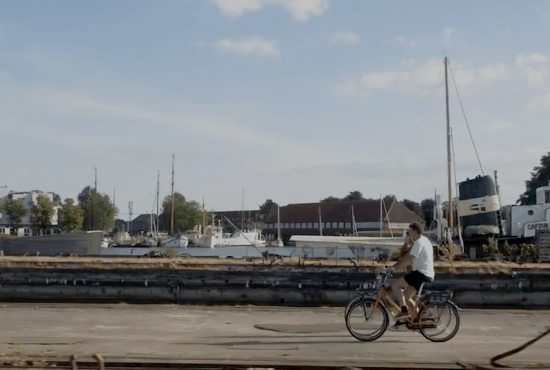 Once you picked up your bike, make a small detour before getting on the main route, as it is definitely worth it. 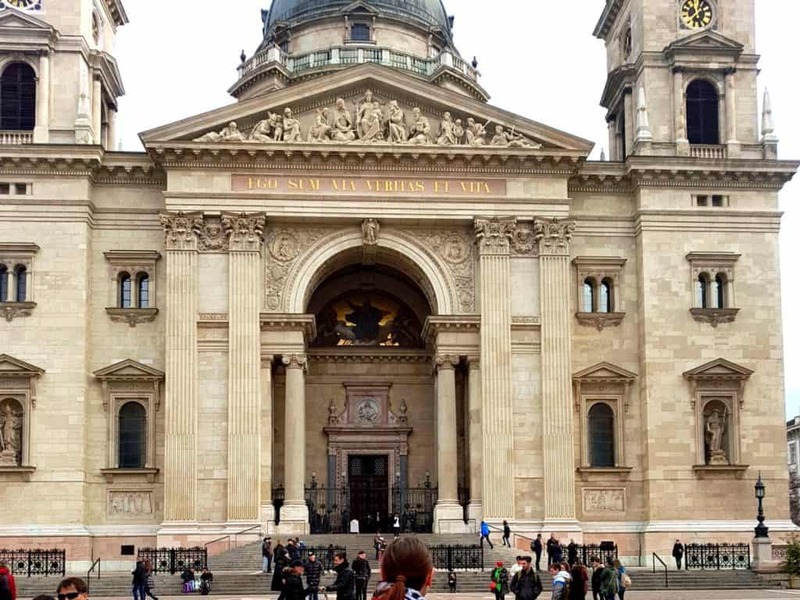 St. Stephen Basilica is perhaps one of the most stunning pieces of architecture in Budapest. It is free to enter and only costs a couple of euros to go up to the dome’s observation deck, where you will be presented with the most breathtaking panoramic view of the city. There are also plenty of restaurants and coffee shops in this area if you want to have a quick, albeit overpriced bite before the rest of your Budapest bike tour. After St. Stephen Basilica, you will be taking your rental bike on the Andrassy Avenue. It has a separate bike lane, so getting around will be easy even for an amateur. However, it is one of the busiest streets in Budapest, so stay cautious of the traffic. If you haven’t had a chance to properly admire the Opera House, make a quick stop here and snap a few selfies. A little further down the street is a great cafe, Langos Papa, where you can try Hungarian langos – fried dough served with a selection of toppings, such as sour cream, ham, cheese, and onions. 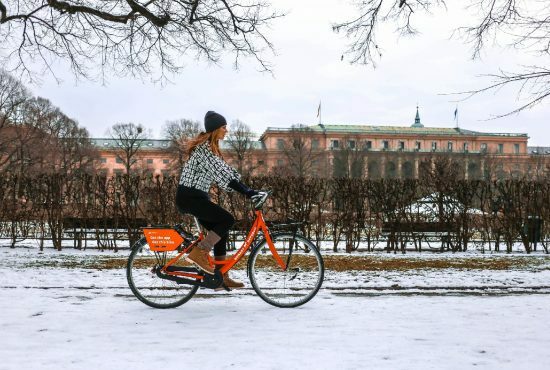 The best part is that since you are getting plenty of exercise on your rental bike, you don’t even have to feel guilty about all the carbs you consume here. You can also get your heart rate up by doing some shopping in the boutiques on Andrassy, such as Burberry, Michael Kors, MaxMara, and Omega. 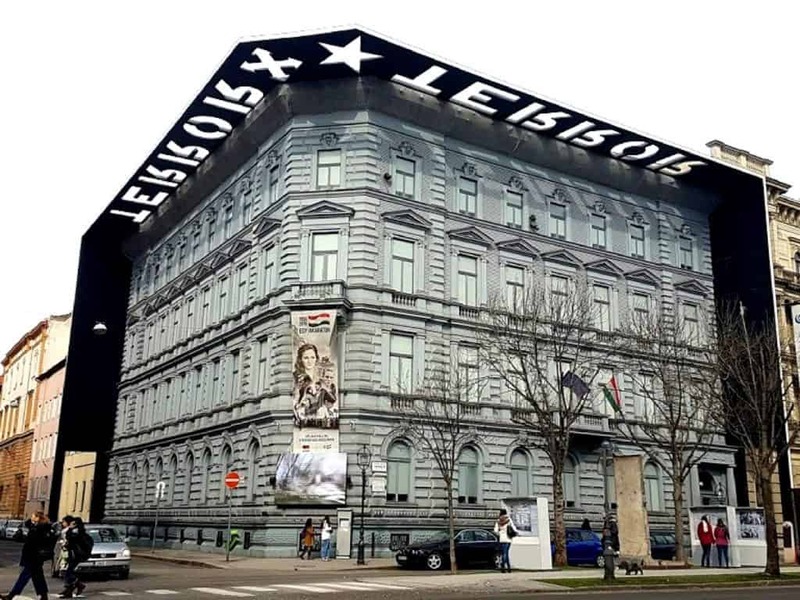 Make a stop on your Budapest bike tour to explore the House of Terror – a museum dedicated to the victims of two dark periods in Hungarian history, fascism and communism. Take your time here, there is a lot to go through. Quick tip: if you are 26 or younger, take an ID with you to get a 50% discount. Isn’t this the best bike ride? A wide street with beautiful monuments and neo-renaissance architecture along the way, culminating in the glorious Heroes’ Square. Behind the square is an ice skating rink that you can enjoy during colder months. Otherwise, if it’s warm, you can sip on a lemonade while chilling on the grass of the City Park. There are 125 thermal springs in and around the city, so not enjoying one of the baths while on your bike tour of Budapest is like going to Italy without eating pizza – practically illegal. Within the City Park you will find the Szechenyi Bath, the largest medicinal bath in Europe. It is over 100 years old, which is how long you’ll live if you spend 30 minutes in its waters. OK, I can’t promise you that, but I guarantee you’ll have a fun, relaxing afternoon. There are numerous pools of varying temperature and depth as well as saunas and massage services. Get pampered! One of the oldest in the world, the Budapest zoo is home to over 1,000 species of animals. During the second World War and the siege of Budapest, most of the animals and the zoo itself were destroyed, and it took decades to rebuild it. Many visitors end up spending a whole day here, especially if they come with kids, as, in addition to the zoo, there is a botanical garden, plenty of interactive exhibits, and a dozen other fun things to do. 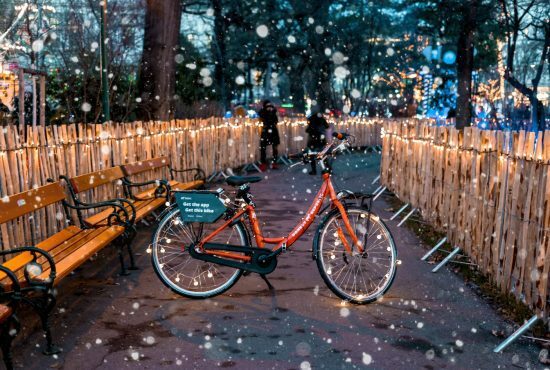 Note that there is a guarded parking area for your rental bike before you enter the zoo and it costs as little as 90 cents for the entire day per bike. So, let’s review. 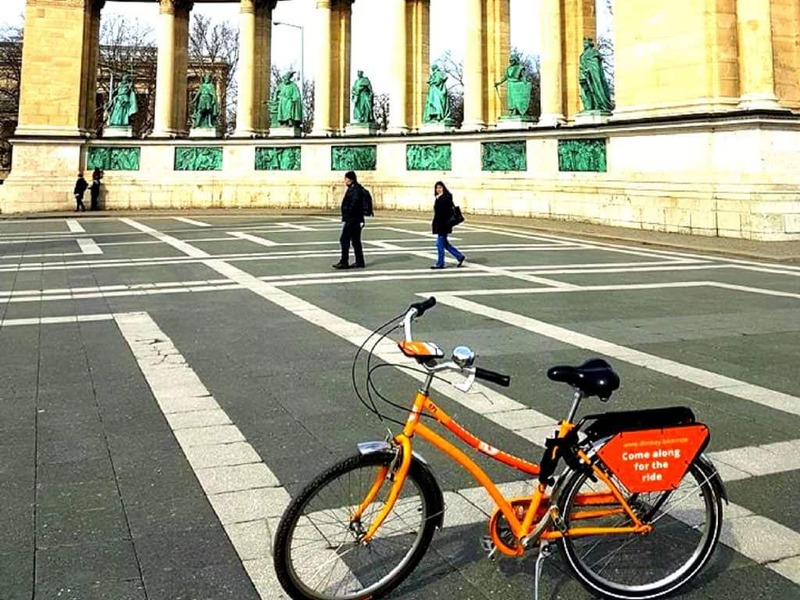 On this Budapest bike tour you enjoyed authentic Hungarian cuisine, admired the city’s architectural landscape, relaxed in the medicinal baths, learned a bit about Hungarian history and saw adorable pandas. Not too bad for just a few kilometres of a bike ride, huh! Looking for accommodation for your stay in Budapest? Check out this accommodation in Budapest guide.